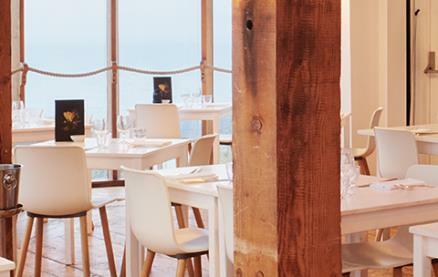 HIX Oyster and Fish House is located in Mark Hix's native Dorset and boasts stunning panoramic views across the Jurassic coast and Lyme Regis. The informal, light and airy dining room with simple white wooden tables and chairs lets the food do the talking. 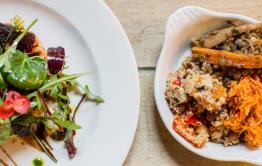 A daily changing menu serves up fresh seafood and locally foraged produce in true HIX style. HIX Oyster and Fish House is licensed to accommodate civil ceremonies, allowing you to host your wedding ceremony and reception in the same place. Be the first to write a review and share your experience at Hix Oyster & Fish House with other diners.